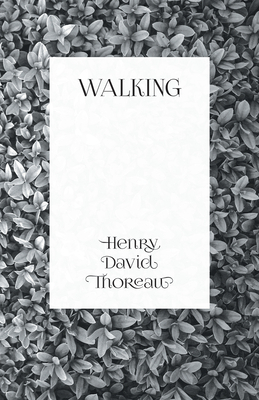 "Walking" is an essay by Henry David Thoreau based on a lecture originally delivered at the Concord Lyceum on April 23, 1851. Within it, Thoreau carefully explores the important relationship between nature and mankind. Thoreau considered it to be one of his best works, and repeatedly rewrote it during the 1850s. This volume will appeal to fans of Transcendental literature, and it would make for a wonderful addition to any collection. Henry David Thoreau (1817 - 1862) was an American poet, philosopher, essayist, abolitionist, naturalist, development critic, and historian. He was also a leading figure in Transcendentalism, and is best known for his book "Walden," a treatise on simple living in a natural environment. Other notable works by this author include: "The Landlord" (1843), "Reform and the Reformers" (1846-48), and "Slavery in Massachusetts" (1854). Many vintage books such as this are becoming increasingly scarce and expensive. We are republishing this volume now in an affordable, modern, high-quality edition complete with a specially commissioned new biography of the author.